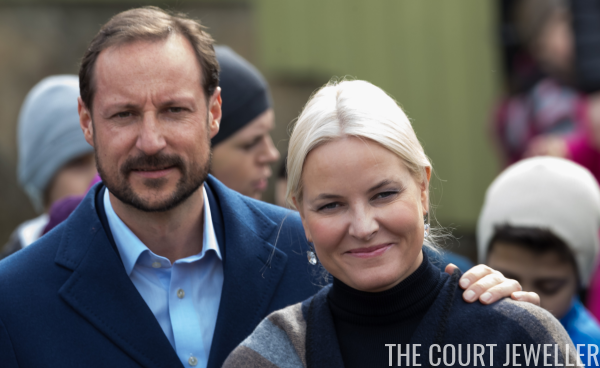 Crown Prince Haakon and Crown Princess Mette-Marit of Norway made a trip to the Ice Lake forest in Bjerke District of Oslo on Monday, and Mette-Marit brought a pair of very sparkly earrings along with her. 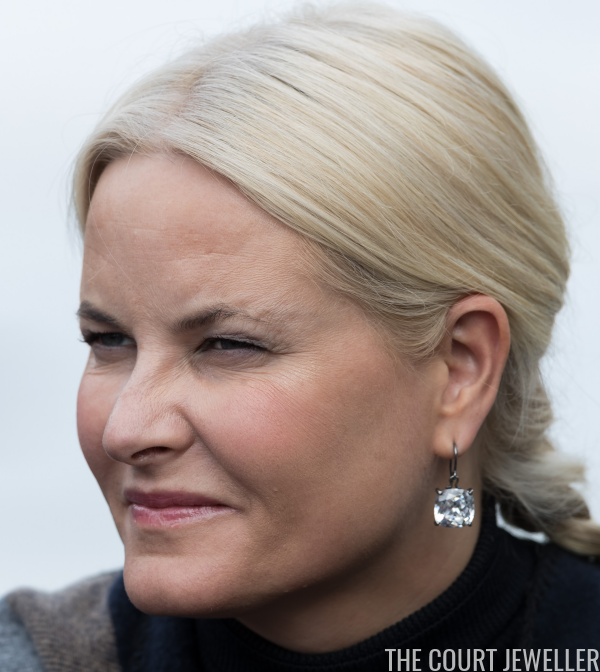 The earrings feature a clear gemstone. 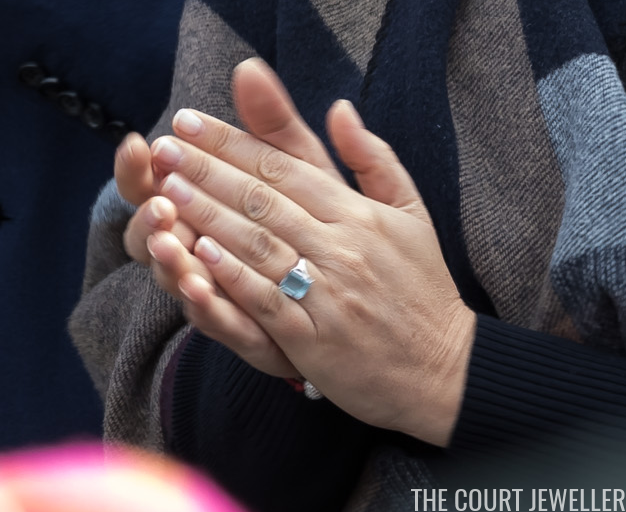 The size of these, plus the setting, has me convinced that these are imitation gems. 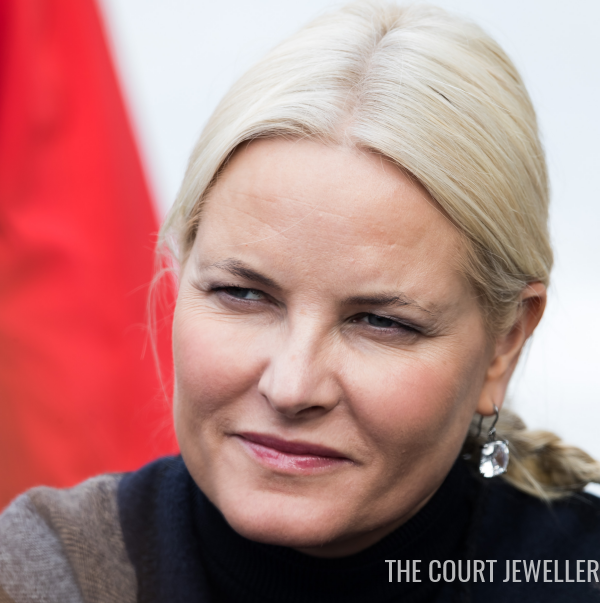 Mette-Marit also wore a ring with a blue stone on her left hand. 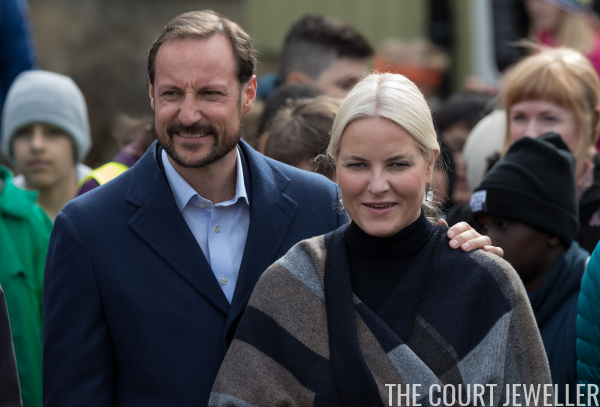 And one more look at the crown princely couple, because they're unfairly good looking.